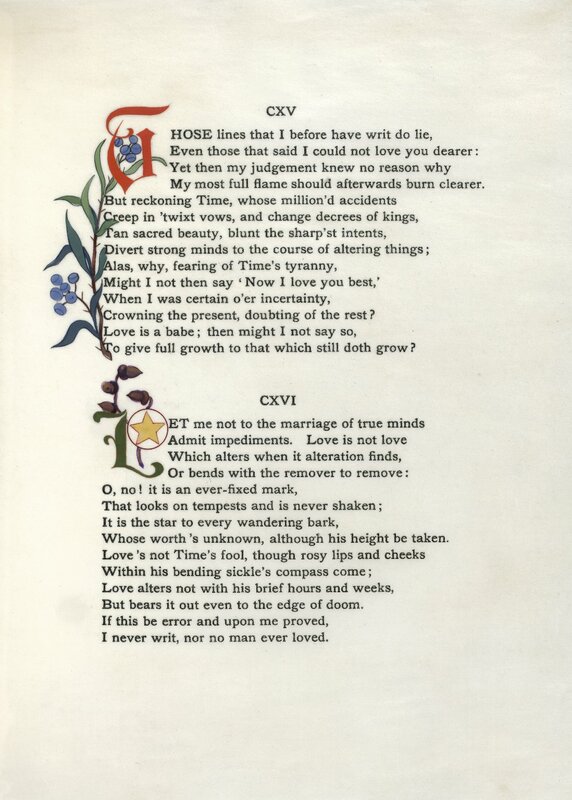 Have you seen the Pop Sonnets tumblr? It’s a simple yet ingenious formula: taking lyrics from popular songs and rewriting them in the form of a Shakespearean sonnet. The creativity on display here is delightful. Beyonce’s “Single Ladies” receives this final couplet: “If truly you did wish to win my hand, you should have graced it with a wedding band.” Elsewhere, the theme song from “The Fresh Prince of Bel-Air” opens with “From western Philadelphia I hail, where in my youth I’d play upon the green”. If you’re having difficulty getting students to take an interest in Shakespeare’s sonnets, maybe this could be a good way to capture their attention. We’ve got lesson plans for teaching the sonnets and a great resource in Folger Digital Texts that you can use, but for more on that, you should read a blog post that we published in August. And if you really want to have an awesomely nerdy moment, this blog post insightfully points out how the distinctive typography of Pop Sonnets helps achieve an “old-timey” feel. Alberto Sangorski. Songs and Sonnets by William Shakespeare. Manuscript, 1926. Folger Shakespeare Library. 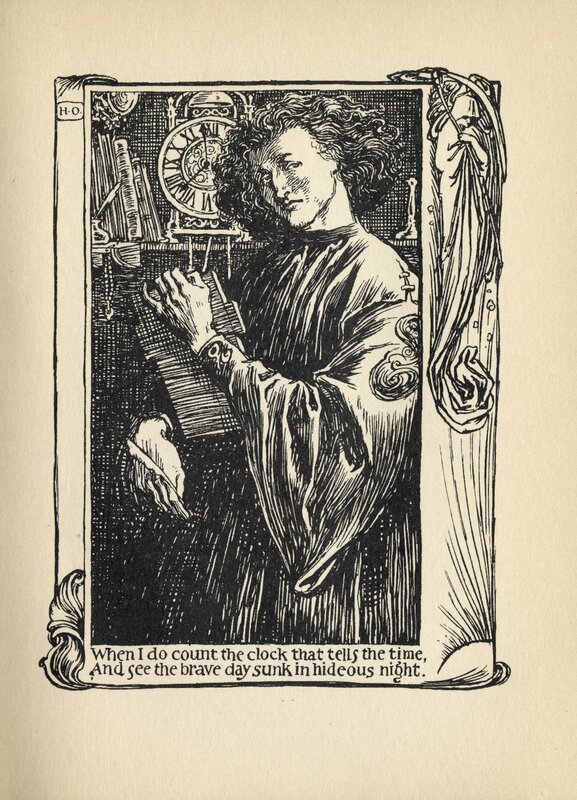 Using Folger Digital Texts, you can read and search the sonnets, Lucrece, The Phoenix and the Turtle, and Venus and Adonis. It’s the same familiar text as the one that appears in the Folger Editions, so you can be confident that everything’s been vetted by the experts. Do you need some ideas for teaching the sonnets? You can find a variety of lesson plans on the Folger website. Earlier this week, we invited you to share our sonnet-writing contest with your students. And we hope you do! William Shakespeare’s Sonnets. Illuminated by Ross Turner, 1901. Folger Shakespeare Library. Exploring Shakespeare’s sonnets can be a good way to introduce students to his language. 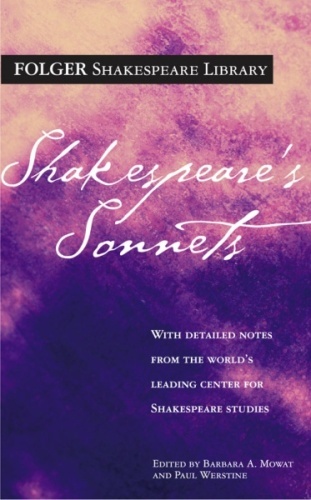 Many ideas and themes in the sonnets also appear in Shakespeare’s plays and can be useful lead-ins. 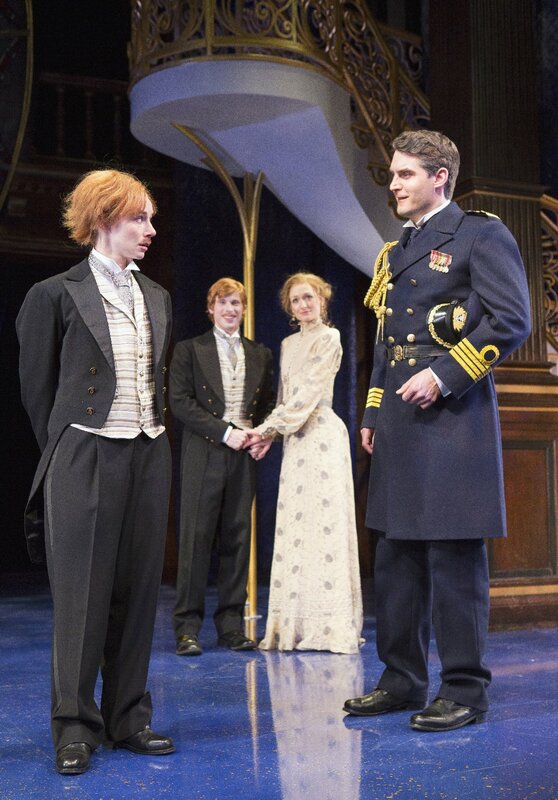 For instance, looking at individual sonnets in Romeo and Juliet can be a door into the play. The strictures of the sonnet form can inspire creativity in students. 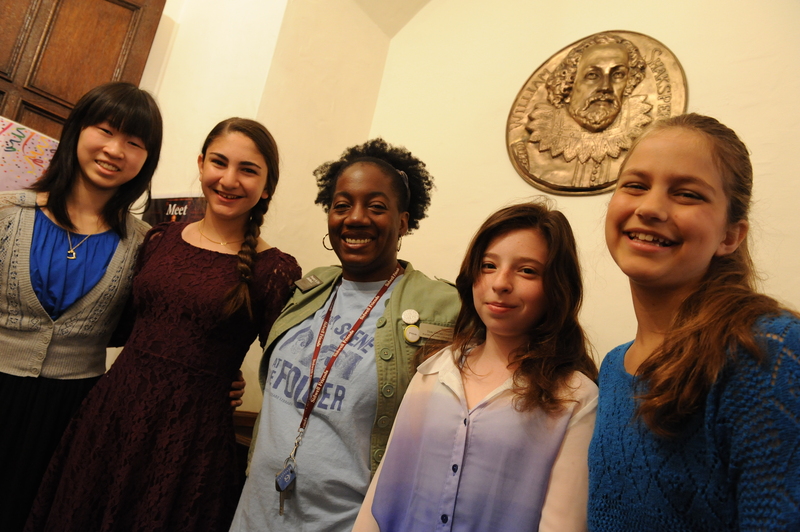 Winners and runners-up from the 2013 Shakespeare’s Birthday Sonnet Contest, with poetry coordinator Teri Cross Davis (center), at the Folger Shakespeare Library. Each year, Folger Shakespeare Library invites students in grades 3 through 12 in the District of Columbia, Maryland, and Virginia to submit original sonnets for the annual Shakespeare’s Birthday Sonnet Contest. We are now taking submissions for this year’s contest, marking Shakespeare’s 450th birthday! A judge will select the top sonnet in three categories: grades 3-6, grades 7-9, and grades 10-12. Winners in each category receive a full set Shakespeare’s plays, and runners-up receive a copy of Shakespeare’s sonnets. 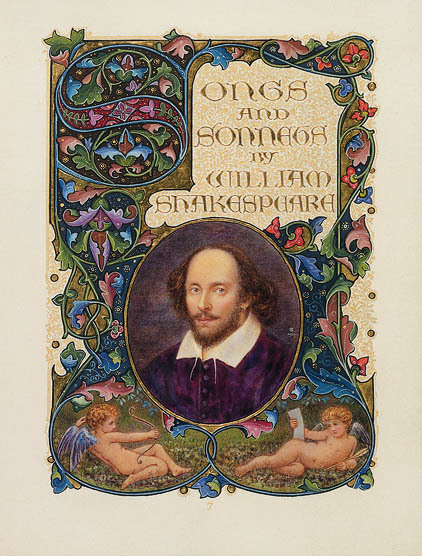 Winners and runners-up are also invited to read their entries at Shakespeare’s Birthday Open House at the Folger Shakespeare Library on April 6. Be sure to have your students send in their submissions by Friday, March 21. Please email submissions to Teri Cross Davis, at tdavis@folger.edu, or mail them to the address below. Not noticing the spray against her feet. Where surf and salt and spray and stone all meet. Against the jagged outline of the sky. No detail undetected by her eye. Content to stand and paint beside the sea. That like the ocean tumbles loose and free. Her two great loves have been turned into one. Encourage your students to write sonnets of their own. We can’t wait to see what they come up with!